What is White Hat SEO (Search Engine Optimization)? White Hat word is self described, it means that SEO should be done in legally manner without breaking rules or policies of search engine. 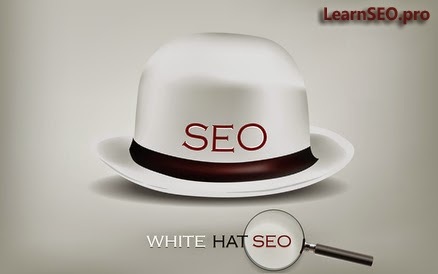 White Hat SEO techniques include using of keywords and keyword analysis, backlinking, link building to improve link popularity and writing content for only human readers. White Hat SEO is more frequently used by those who intend to make a long-term investment on their website, because it is totally legal and can be called as a life of Search Engine Optimization. It is also called as Ethical SEO. White Hat SEO is the best way to reach the goal following Google policies. There are many techniques to do it.